A week ago, in Charlottesville, Virginia, our nation’s under-belly emerged with brown shirts and swastikas to foment hate, bigotry, and anti-Semitism. Their racist message was clear and their purpose was unequivocal. The only muddled message and equivocal response came from our president. His failure to address the nation with knowledge of history, sensitivity to persecuted communities, and selfless regard for humanity stunned the world. There was no excuse for him or anyone in elected office to misunderstand and, thus, misuse the Office of President on such a dire day in our country. No one aims to blame a president, but no one who is president should aim, even carelessly, to blame a citizenry who defends the “unalienable rights” all Americans are privileged to enjoy. Earlier this week, I reached out to Judicatory leaders, religious heads of Catholic and Protestant faiths, to join me in writing an op-ed in the Houston Chronicle to reach the people of greater Houston. They agreed immediately. Using words from the Bill of Rights, Cardinal DiNardo’s personal message to the Galveston-Houston dioceses, and from Rabbi Rick Jacobs, president of the Union for Reform Judaism, I composed a letter that responded to the atrocities in Charlottesville. In Thursday’s op-ed page and on Chron.com, you’ll find the letter in full; but, if you missed it, it’s printed below for you to read, share, and promote. “We hold these truths to be self-evident, that all men are created equal, that they are endowed by their Creator with certain unalienable Rights that among these are life, liberty and the pursuit of happiness.” These are foundational words upon which this country was built and the creed which Americans are to believe and live by. There is no room for hate and bigotry with these words. These words are inclusive of all men—white, black, brown, educated, uneducated, rich and poor, people of faith and of no faith. 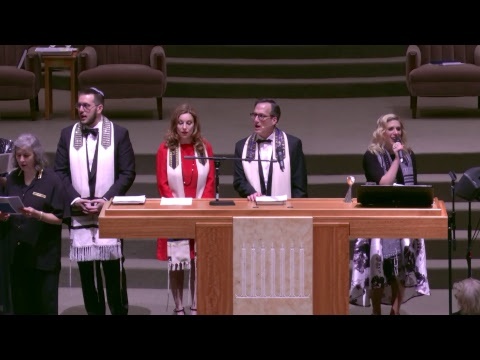 In light of the horrific events in Charlottesville, and elsewhere, and under the veil of weak support from the White House to condemn bigotry, anti-Semitism, racism, and xenophobia, we wish to lift up our voices and represent our faith traditions in concert with American values we all cherish. What do we say to the world that is on the brink of war and brimming with hate? The late Richard Rorty taught that “the world [itself] does not speak. Only we do. Cultures with richer vocabularies are more fully human—farther removed from the beasts (his word)—than those with poorer ones; individual men and women are more fully human when their memories are amply stocked with verses.” We must speak up to a world that needs to hear our verses about truth, civility, love, and peace. We must strive to speak to a world that is mute without us so that we can gain victory with our voices over violence and inhumanity against men, women and children. Together, we call on the people of Greater Houston to “Love your neighbor as yourself.” Faith in such an enduring teaching is the beginning of love between us and all God’s acts of creation. Permission is not granted to human hands to destroy God’s handiwork; to do so is an act of ultimate moral weakness. Rather, defending the poor, sheltering the widow, feeding the hungry, welcoming the stranger, and loving your neighbor are demonstrations of ultimate moral strength. If our nation’s moral authority emboldens White Supremacists against Jews, blacks and other minorities, then we must link arms and hands, and join voices and verses to labor for a strong and loving nation; the America our forefathers bequeathed to us. We know the difference between good and evil; we have room in our hearts and our homes for those who know or will come to know the difference, too.